If you watch Shahs of Sunset, you know how low key Asa Soltan Rahamati prefers to live her life. Sure, she’s on a reality show, but her storylines mostly focus on her business endeavors. Her romantic relationship with longtime love Jermaine Jackson Jr. is not even a part of the show, but he is a big part of a recent story in her real life. Asa just gave birth to their first child together. The couple welcomed their baby boy and Asa posted a rare photo of her and Jermaine together to commemorate the big occasion. And in another unusual move for the super private couple, they shared some details about the baby’s arrival and even the baby’s name. Asa and Jermaine talked to Us Weekly about the arrival of their first baby through their representative. The rep revealed, “Asa has delivered her beautiful boy, born on January 20, 2017.”Of course Asa was able to keep the birth under wraps. She is definitely one of the most private reality TV stars The rep added, “Both he and mom are healthy. His name is Soltan Jackson.” I like it. A combination of both their family names is a great way to pay homage to both sides of the baby’s family. Asa shared, “Our lives have completely changed for the better. Jermaine and I brought our precious love home last night. Our families are completely overjoyed.” Aaaww. I wonder if any of this will be featured on the show. I mean, I get hiding a personal relationship from the scrutiny of the public eye, but keeping a pregnancy and birth away from a show about your own life seems like a lot. Asa continued the sharing with a sweet Instagram photo of her and Jermaine. Asa wrote, “We gave birth to our precious son on January 20th 2017. His name is Soltan Jackson and we are completely in Love with him. Mami, Baby, and Daddy are all doing well. Thank you from the bottom of our hearts for all your well wishes and prayers. We are literally in heaven with our precious Soltan. #inLove #SoltanJackson.” Awww. 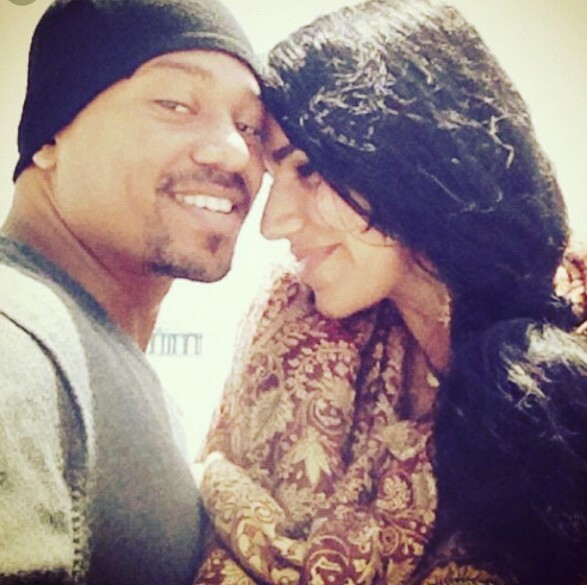 Maybe we will see a pic of baby Soltan soon and just maybe Jermaine will appear on Shahs of Sunset. Probably not- but I know the fans are curious. TELL US- WHAT DO YOU THINK OF THE NAME SOLTAN JACKSON? DO YOU WANT ASA’S PREGNANCY TO BE FEATURED AS A STORY LINE ON SHAHS NEXT SEASON? Shahs of Sunset News! Golnesa “GG” Gharachedaghi Gets Engaged To Shalom; Lilly Ghalichi Also Engaged!